University of Toronto professor Jooyoung Lee, an authority on gun ownership and gun violence, lays out the facts. 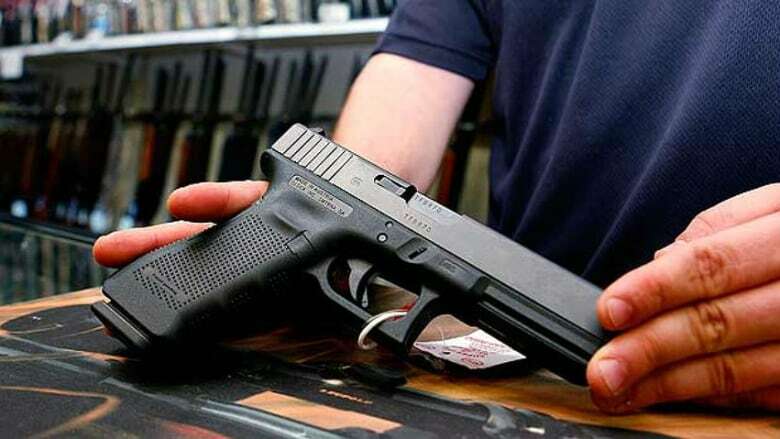 A national handgun ban is a Band-Aid solution; it's political posturing and it will not reduce gun-related crime in this country, says Tracey Wilson, a registered lobbyist with the Canadian Coalition for Firearms Rights. Following her appearance on The Sunday Edition last week, there was a barrage of feedback from our listeners, many questioning the information in that interview. In the meantime, the federal government announced this week it is launching a public consultation on the question of a national handgun ban. We invited University of Toronto professor ​Jooyoung Lee, an authority on gun ownership and gun violence, to follow up on last week's interview. Oliver Drerup from Carp, Ont., sent this plea: "Please seek out information about countries with very low rates of gun crime and how they have achieved their results." Lee said the evidence contradicts what Wilson had to say. "There was a study, for example, published in a very well-respected epidemiological journal in 2016 by researchers that did a survey of 130 different studies about the effectiveness of different types of gun control restrictions," said Lee. "One of the core findings that they came away with was that gun bans tend to have a very good effect in terms of reducing gun violence rates. So this is not political posturing. This is social science at work. This is researchers surveying 130 peer-reviewed articles and coming away with this conclusion." Wilson raised the example of Switzerland as a country where everyone has a gun and there is virtually no gun violence. Sue Van Wagner of Montreal wrote to us about this. "Most emphatically, I wish to make two points. There is not a gun in every Swiss household. In fact, of all the many Swiss households that I'm acquainted with, I know only one that has any guns and that is hunting rifles. Swiss householders are not required to have guns. Please get your facts straight." Lee said that Swiss men who serve compulsory time in the military are given firearms. Some return these guns to the government. There are approximately two million privately-owned firearms in a nation of about 8.3 million. "People grow up in a very different culture around firearms. They're taught to treat firearms responsibly. They're socialized into a world where the firearm is understood as part of his duty to a country. It's part of serving the military. They take classes to work on marksmanship," he said. "Just looking at the number of firearms in the country and then saying, 'Well look at this country, they have a lot of guns and the gun violence rates there are low,' is not necessarily a great way to understand this puzzle." Wilson challenged a commonly-quoted estimate that 61 per cent of guns used in violent crime in Canada are, in fact, bought and legally-owned in Canada. She cited the true figure as five per cent. 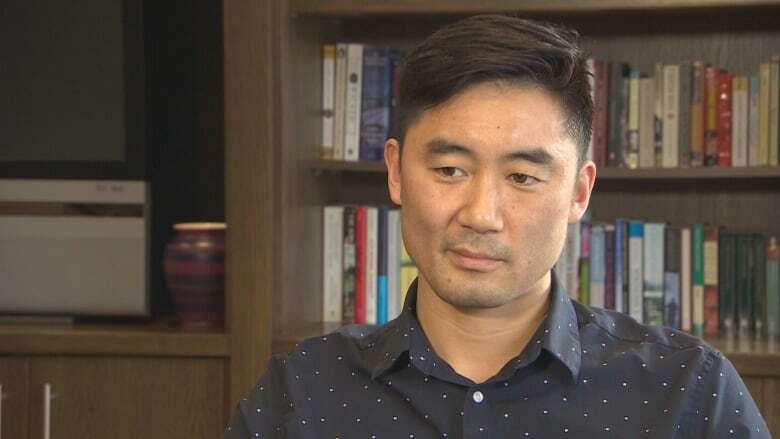 "The short and the long of it is that we don't have the best data regarding the origins of firearms that are being used in crimes in Canada," said Lee. "The 61 per cent number comes from an RCMP study in 2016 ... I think that that was an interesting moment for us to reflect on this kind of taking-for-granted wisdom that, over the years, firearms have been flowing across the border. And it was a clue perhaps that we need to really look at this more systematically at a national level to really understand." Lee went on to say that the extent of gun trafficking may be exaggerated. "We have this Hollywood image that there are these international trafficking rings that bring in boatloads of guns or that have a very sophisticated means of trafficking firearms," he said. "But if we look at the studies on this, we find that the vast majority of firearms that are used in shootings both fatal and non-fatal are being purchased legally at one point in time. And then they're diverted." One of the challenges is that there is inadequate funding for research in this area, Lee said. Some of the letters we received were about the AR-15, which the CCFR has lobbied to declassify as a "restricted" weapon in Canada. Wilson refuted the description of it as a military-assault rifle. John Cushnie of Sussex, N.B., wrote: "Ms Wilson's description of the AR-15 is wholly incorrect. The AR-15 family of rifles was developed in the 1950s by the Armalite Corporation and saw early adoption by U.S. Special Forces in Vietnam. Based on this it was adapted to be the primary combat rifle of the U.S. military becoming the M-16. It is the same rifle." Doug Lewis of Kendal, Ont., wrote: "As a retired police officer, I find some of her arguments specious and misleading. For example, she did not say how easily a semi-automatic AR-15 rifle can be converted to automatic fire. I admit to having some misgivings about a full ban on firearms but I'm also increasingly concerned about why individuals may still own handguns and military weapons." Lee says he's familiar with the debate about the AR-15, sold to civilians as a semi-automatic rifle, which means that one trigger pull equals one bullet being fired. However, he adds that bump stocks, such as those used by the mass shooter in Las Vegas, essentially turn a gun like the AR-15 into an automatic assault rifle. "The possibility for inflicting mass carnage is there, and there's also the possibility of outfitting these firearms with larger magazines which makes it easier for a person to shoot repetitively without having to reload," Lee said, adding that this makes it more difficult for first responders to help people. He added that due to the way the AR-15 fires, trauma surgeons will confirm that it leads to massive damage to internal organs and tissues, far greater than a bullet from a handgun. One of Wilson's biggest concerns was the prospect that the government might pass laws that will affect the freedoms of sport shooters like herself. "What if these owners were required to store their guns under lock and key at their clubs or ranges rather than at home? Of course any new legislation would have to help the clubs and ranges accommodate this change, but it may help create fewer opportunities to access and sell these goods." Lee thinks this is an interesting idea. "Police officers in Canada for the most part also store their weapons at their police departments. There are very few officers who walk around carrying firearms and they don't keep them at home as well. I think one thing that could emerge from that is that there would be less theft of firearms." Individual gun owners in Canada are not the problem, said Lee. "The vast majority of gun owners in Canada are very responsible people who care about gun safety and gun rights and follow the laws to a T. But not everybody does. And that's why these kinds of measures are important." He also concurred that, while handgun bans have proven to be effective, they are just one piece of the puzzle: "We also have to attack income disparities ... and we have to eliminate discrimination in the labour market so that young people can get ahead. The journalist David Simon who wrote and created The Wire has this great quote, where he says, 'The street corner is always hiring.'" WHERE DOES THE CANADIAN COALITION FOR FIREARMS RIGHTS GET ITS FUNDING? A few listeners raised concerns about where the Canadian Coalition of Firearms Rights gets its money. There were comparisons with the National Rifle Association in the U.S., which receives millions of dollars from gun manufacturers. The CCFR is funded through individual and business memberships. Their business directory is not limited to firearms companies. A business membership for the CCFR costs $100 dollars a year. Click 'listen' above to the interview.